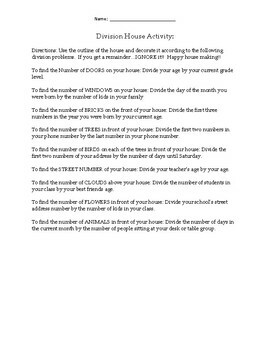 This activity is focused on division. 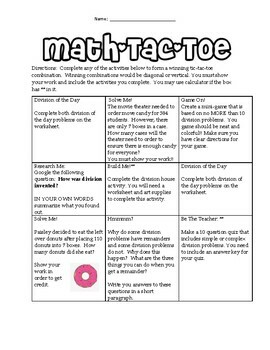 Students will receive a math-tac-toe board and complete any three activities that they choose. As long as the three activities are connected in a tic-tac-toe pattern, they have achieved the goal. Please note: the division of the day problems can be teacher created. I made up my own problems for that square and posted them on my whiteboard.